A few nights ago, we were invited to the opening of a new restaurant in Beirut. The entire experience was a disaster, highlighted by the chef’s constant screaming from the kitchen. Every time a runner swung open the kitchen pass-through to retrieve a prepared dish, cacophonous yelling from inside burst out. Apart from that, we were nearly 30 invited guests seated along three long tables. For every six guests, one plate would be set down for divvying. Mind you, this wasn’t a Lebanese mezza whose components were readily shareable. These were individual salads meant for one, or sandwiches cut in two. When we requested a repetition of the seabass tartar, the manager declined, claiming all platters had been carefully portioned in advance and that the kitchen had run out. What a bunch of malarkey! Opening night, and you’re hosting: shouldn’t you err on the safe side? Needless to say, we didn’t make it to the mains. We were beyond livid (and famished) to bear any more of this debacle. The worst bit was watching servers flutter about doting on paying guests, but when summoned by a member from our own dining party, not an eyelash was batted. That evening, on the drive home, reflections of the restaurant’s grievous shortcomings tore through my mind. I got to thinking, what does it take to run a successful restaurant, notably in a country riddled with a high turnover rate in dining outlets? What factors determine whether a restaurant is a hit or miss? Why do a rare few make the cut in a culture that celebrates food and voraciously hunts for new establishments? Greet customers warmly at the door. Seat them at their choice of table, unless it’s exceptionally reserved. Pass by and check on their satisfaction frequently. Honor their requests swiftly. If they ask for an additional bread basket, replenish it with a smile. If an unwanted intruder makes an appearance on their plate, be sure to nix the order from the tab and replace it with any dish of their choosing. Be fussy about the details, because customers do take notice. And by God, be generous. I’m not talking Cheesecake Factory-generous, although that’s one metric you could measure yourself against. Make sure portion sizes are human. No matter how good your cuisine is, it will not redeem unreasonably tightfisted rations. If you plan on opening a French bistro, serve a slate of French cuisine. A menu spotted with Thai papaya salads, Frankfurters, Texan chicken burgers, and krikri with vegetable crisps as amuse-bouches is ludicrous. Continuing with the bistro example, comprehend that by definition a bistro is quaint and cozy, serving moderately-priced simple meals in a modest setting. It should not perch on prime real estate in Saifi Village, for example. What's crucial is staying true to the identity of the restaurant, preserving its spirit, theme and motifs. Otherwise you risk undoing your entire concept. Always, always source fresh ingredients. If you’re not happy with a particular ingredient delivered by the supplier that day, don’t serve it. Here’s a rule of thumb: if you wouldn’t serve it to Gordon Ramsay on Hell’s Kitchen, then definitely don’t serve it to your customers. Never compromise on quality. If it drives up the price of the dish, so be it. Strive to attract the market segment who can appreciate your repertoire of edibles and pay for it. Hire an excellent chef who knows what he’s doing and is seasoned in your restaurant’s cuisine. Make sure he’s surrounded by adept sous-chefs who can help him weather a full house and still churn out impeccable dishes. Harp on presentation. Aesthetics are everything. They stroke the appetite and mold first impressions. People do judge books by their covers. 4. Create a warm, inviting atmosphere. 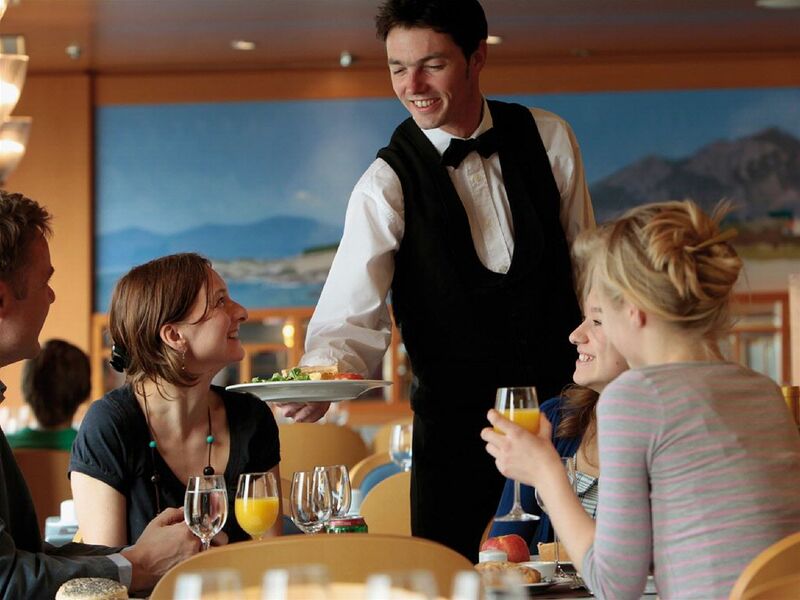 You want customers to feel at home when they walk into your restaurant. Comfort stirs the senses and brings folks back. Furnish your space with comfy chairs, solid tables, and fitting décor in all the right places. Adjust the volume of the background music to a soft setting—that’s why they call it “background,” after all. Ventilate the dining space properly so that guests don’t leave smelling like the kitchen. Condition the room to be a snug 20-25°C, depending on the season. And above all, uphold the highest standards of cleanliness everywhere, from the kitchen to the washrooms. 5. Secure parking for your customers. This one is often lost in the noise. Or perhaps restaurant owners believe that parking is an afterthought. It isn’t! If valet parking is all you offer, you’re already repelling a fair chunk of potential clientele. I'll willingly admit that if there’s no self-parking within a couple hundred meters of a venue, I won’t bother coming. Even the Four Seasons Beirut has self-parking for a flat LBP 3,000 in the rear of the hotel tower. In no way am I suggesting that the above are necessary and sufficient for a restaurant to thrive in Lebanon. There’s a slew of other factors (namely political and economic) beyond one’s control, which in this country is all too familiar to business owners. But if you do perfect the five foregoing imperatives, you have a fighting chance of surviving the competitive restaurant scene in Lebanon. And I’ll be the first to root for you. Straight to the core! Every point you mentioned either makes or breaks my dining experience. The restaurant in question should take this page from your book and pin it to each and every wall throughout. Tisk Tisk!